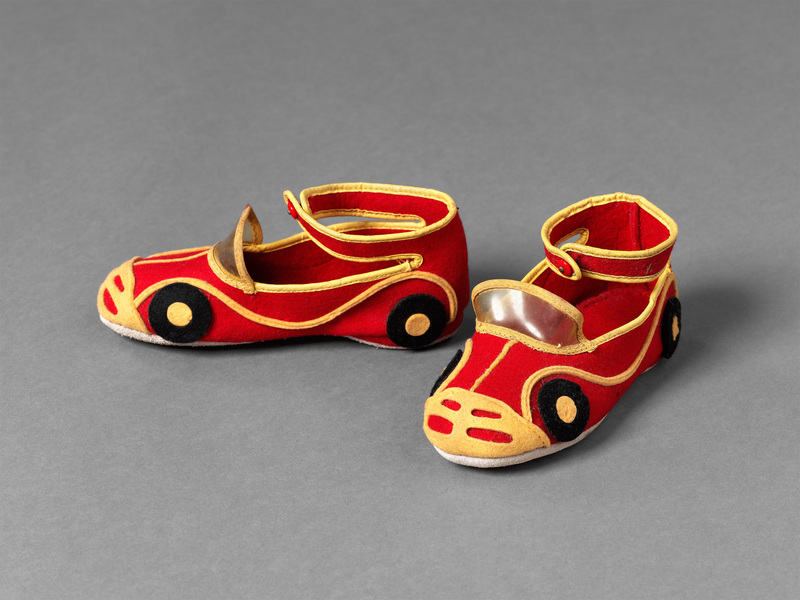 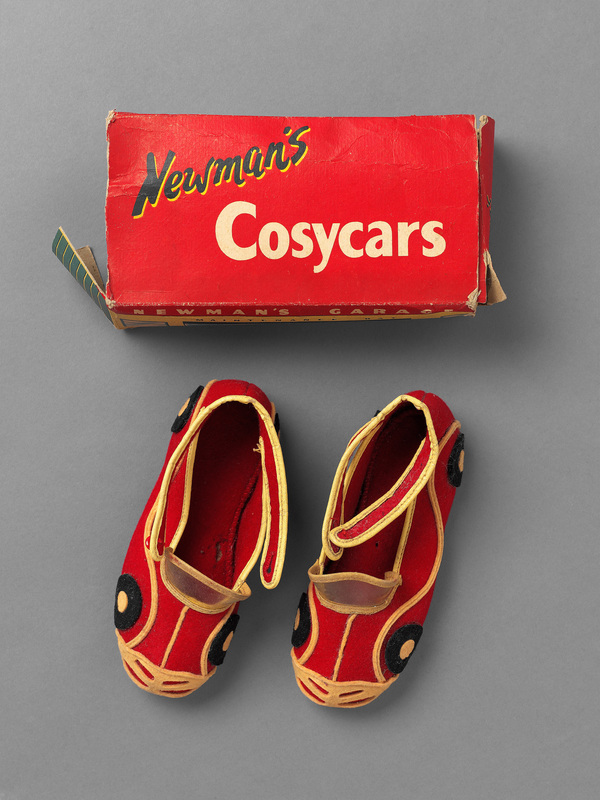 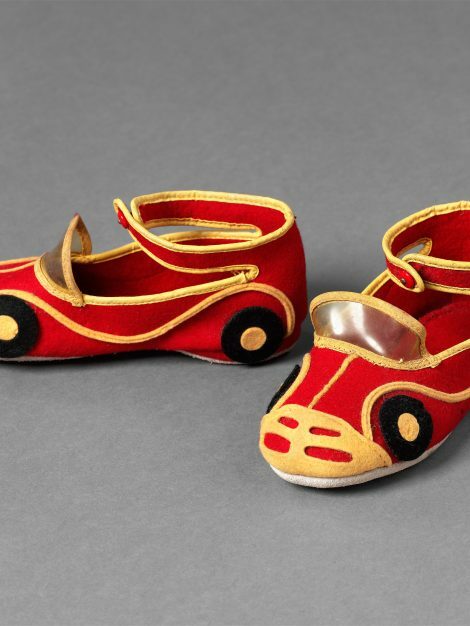 These slippers were designed with the clear intention of bringing imagination into the design of functional garments, encouraging children to get changed for bedtime, which could be quite early in the 1950s by present day standards. 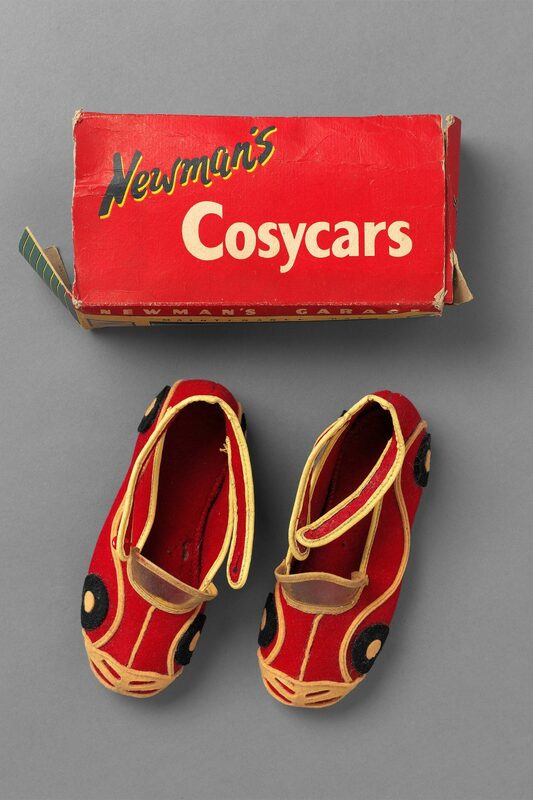 Each shoe is a brightly-coloured open-top car with a clear windscreen, and a practical non-slip suede sole. 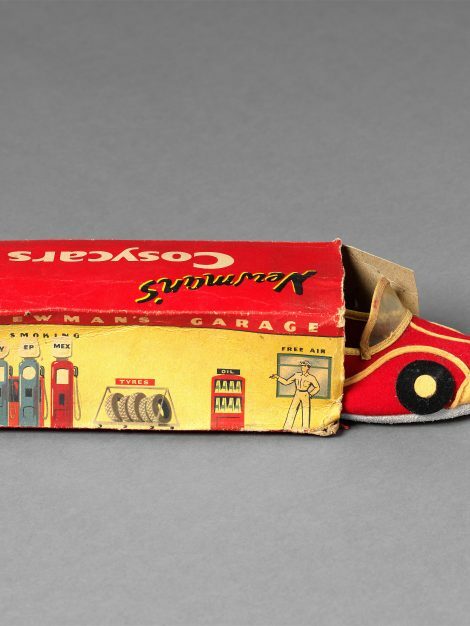 The box takes the form of a garage, printed with a maintenance bay on one side, and petrol pumps, tyres and oil on the other. 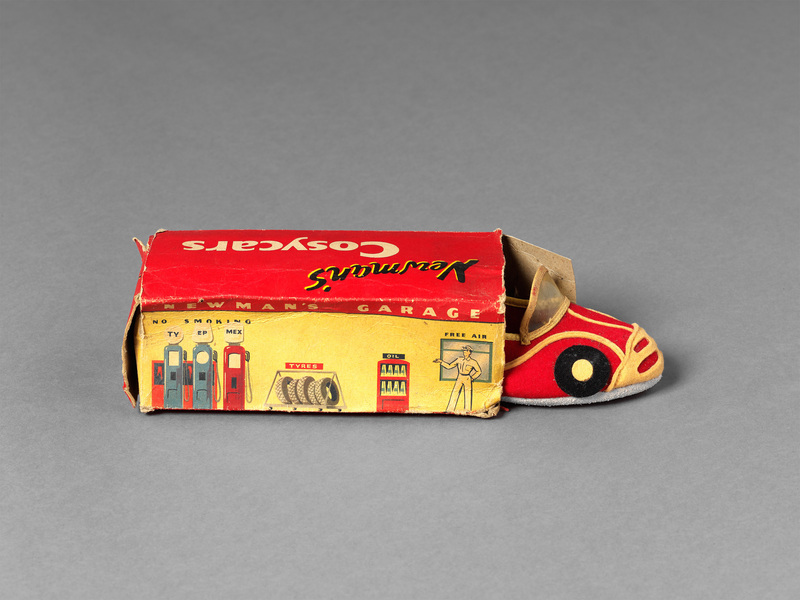 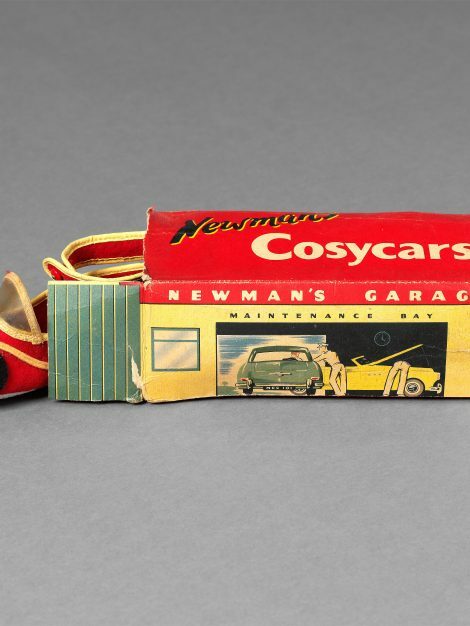 Although British, (the cars depicted are right hand drive with British style number plates) the design of the box, with its oversized cars and mechanics in dapper uniforms, is evidently influenced by American graphics, and is indicative of a broader influence of American popular culture during the 1950s. 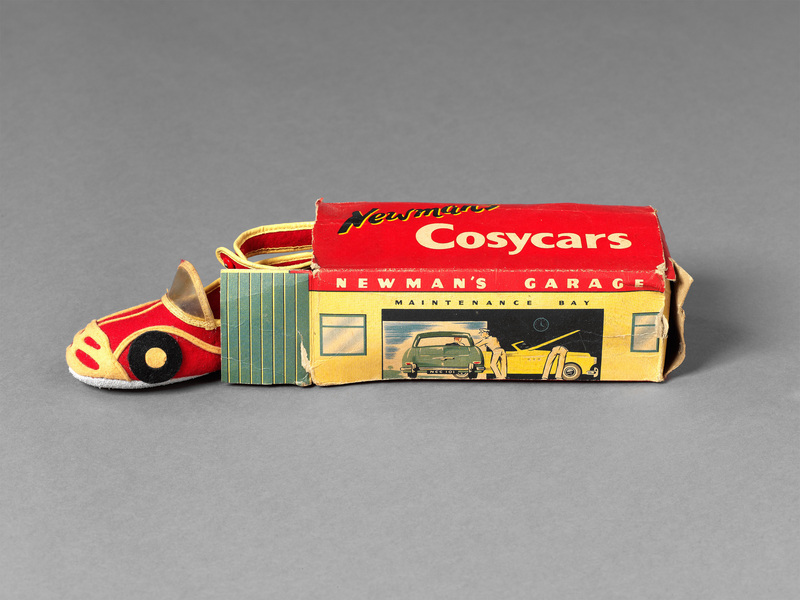 There are two pairs of these slippers in the John Bright Collection, each with their own box, and were probably unsold shop stock.